I know we are all guilty of not allowing adequate time to properly maintain our vehicles, especially in the colder seasons. There has been numerous occasions where we want a clean vehicle for the day or for the weekend but didn’t allow time, well in this exclusive article, I’m going to teach and show you how to wash and wax and get your vehicle ready in under 60 minutes. I was trying to decide what customers car I would choose for this particular write up, but I decided to use my own car since it has only seen Optimum since day one. The car currently has 125k miles and you will see how the silver still looks fantastic. This car has never been fully polished either. 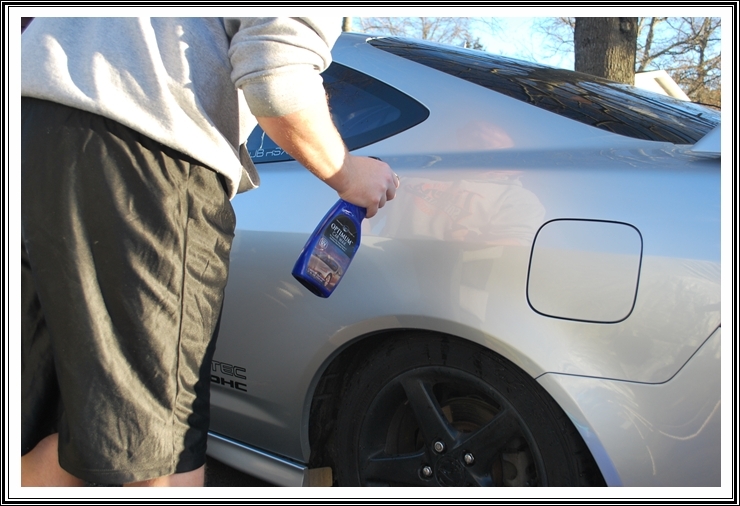 I have used Poli-Seal a few times to clean the paint, but that is the most abrasive product I have used on the Acura. Now that your products are ready to go, take your ONR and 2 capfuls and dump into your designated wash bucket. It doesn’t matter if you add the product before or after filling up your bucket, I just choose to add it first. 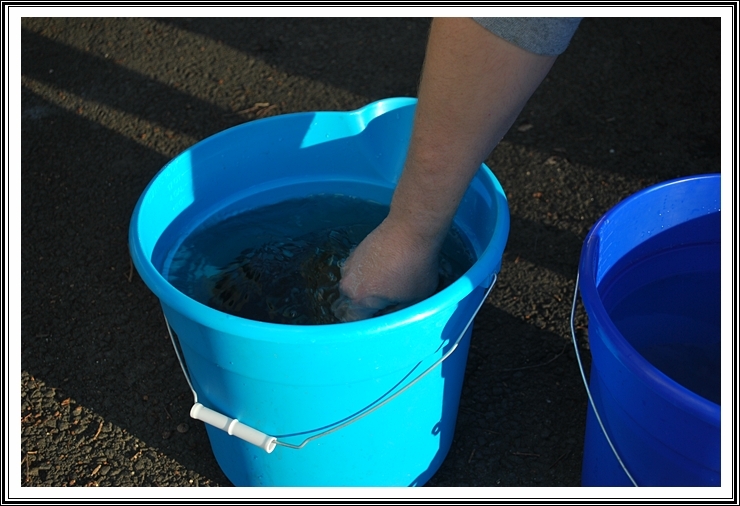 In your other bucket fill with water and then place your grit guard. I also choose to use hot water from inside, especially during the winter times. Remember, the winter conditions are far worse for your car than during summer. Once you have your buckets ready, this is how it should look. This next step is not completely necessary but I choose to do it just to be safe. I took an empty spray bottle and put half a capful of ONR and the rest water. I use this as a “pre soak” just to loosen up the dirt before washing. I only do the area where I’m about to wash next. Now you will want to start from the top to bottom, but do the lower portions and bumpers last as they are the dirtiest. I had already done the top half of the car but I am doing this section solely for documentation purposes so you can follow with me. Go back and forth with light pressure and allow the ONR to clean. There is no need to scrub as that can cause swirls and scratches. Whenever I teach people I tell them to do patterns like your cutting grass, down and back. Now after doing the panel, take your grout sponge and rub it against your grit guard to make sure there is no cross contamination. 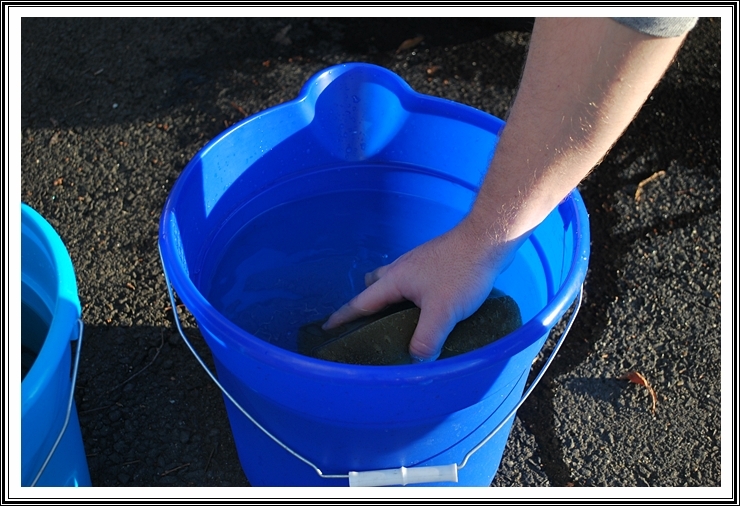 Then next, squeeze it out outside of the bucket before placing your sponge back into your wash bucket. 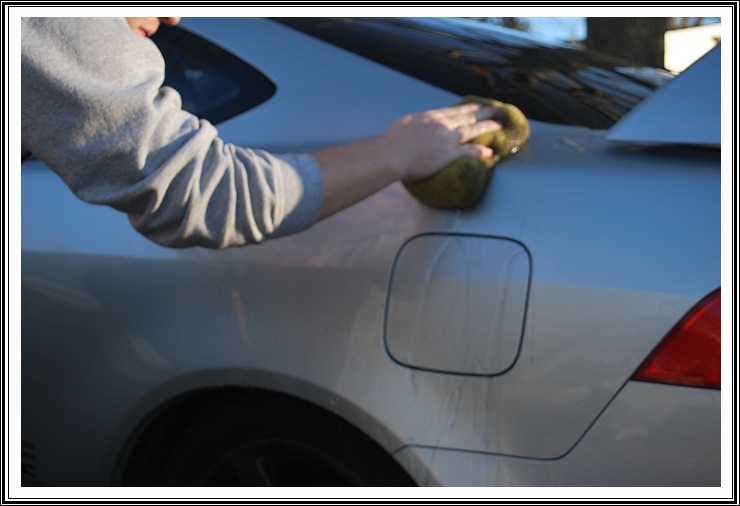 The weather will determine how much of the car you can do before you start the drying process. It was mid 40’s here so I did half of the car before starting to dry. During the summer months you’ll probably want to do just one or two panels at a time since it dries quicker. Grab your Optimum Instant Detailer and waffle weave drying towel and lightly mist onto the panel. The quick detailer will act as a drying aid as well as providing a barrier between your towel and the surface thus making it even more safe for your finish. You will also find that this product smells excellent and looks great by itself. Here you can see how clean the drying towel is after doing the top half and the rear quarter panel. It shows that the cleaning capabilities of ONR are actually removing dirt and grime from the paint and not scratching the surface. Then after the entire car is dried, (doesn’t have to be perfect, but get as much standing water as you can) make your way around the car again using Optimum’s Car Wax. 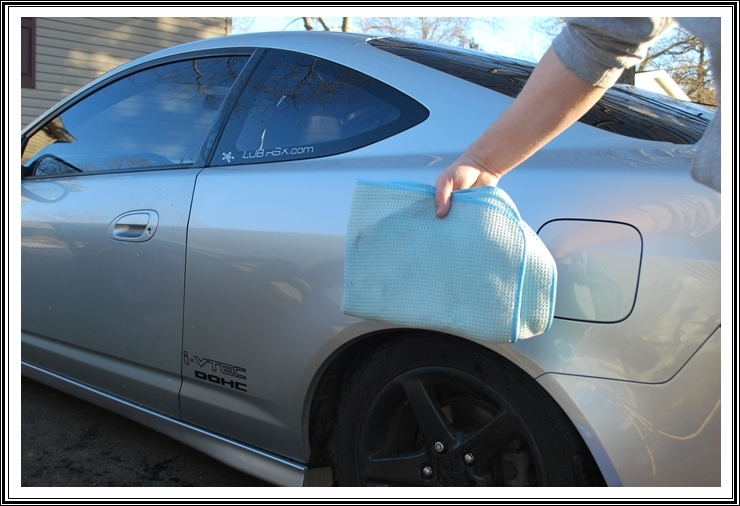 Again, lightly mist the surface with the spray wax and use your ReThickulous towel to wipe away to a slick finish. Now with the exterior nearly completed, grab your glass cleaner and your wheel and tire supplies and complete the finishing touches. Once you get this process down, you will wonder how you ever did without it. The pictures I am about to show you took me roughly 40minutes to have my car in this condition. Also remember, the better you take care of your car, the easier and quicker it will be to maintain. 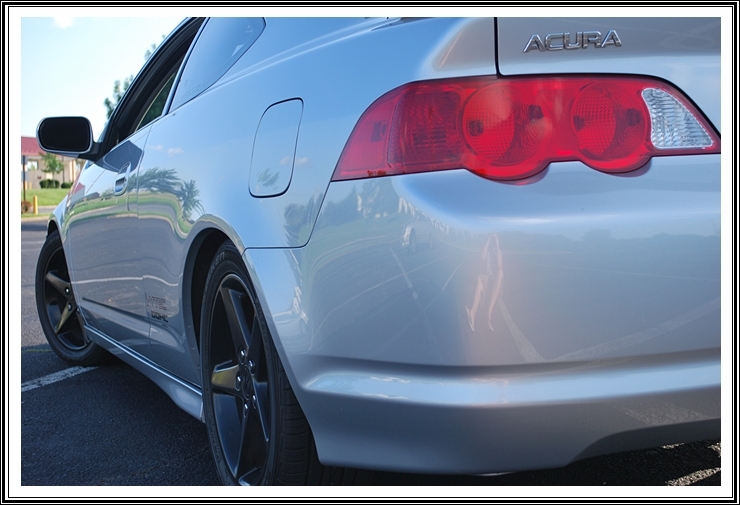 Check out the 60 minute wash and wax complete kit for some great savings! Thank you for taking time to view my work. If you have any additional comments or questions, please submit your reply in the comment box below. I’m in Washington D.C. and we recently got a lot of snow, so i have quite a lot of grime on my car which I dont think ONR will be able to remove. Do you have any suggestions on how i can sort of do a prewash to the car to get most of the thick grime off (such as behind the wheels, rear/front bumper), as my hose is totally frozen. I’ve used the ONR before it snowed in the same manner you just showed, and it works wonders! In addition to what DJ suggested, I keep a 3 gallon garden sprayer loaded with ONR at a bit stronger than normal wash-strength. When things are really cruddy I spray down the worst of the crud fairly heavily and let it dwell while I get started on the not-so-bad horizontal surfaces. By the time I get to the vertical surfaces the grime is literally running off. I tried this method when I first got ONR on a recently-polished black vehicle that really should have been blasted off at the car wash first… but this was my first ONR ‘experiment’ with a really grimey, gritty, winter-dirty car. The next day out in the sun the black finish was as mar-free as when I got done polishing! I’ve found a grout sponge works best with a really dirty vehicle. It traps the grit and doesn’t get grimey like MFs or a MF mitt does. YMMV. DJ, nice to see you at DI ! I am 25minutes south of DC so I am in the same situation. I have found 2 options to be the easiest. 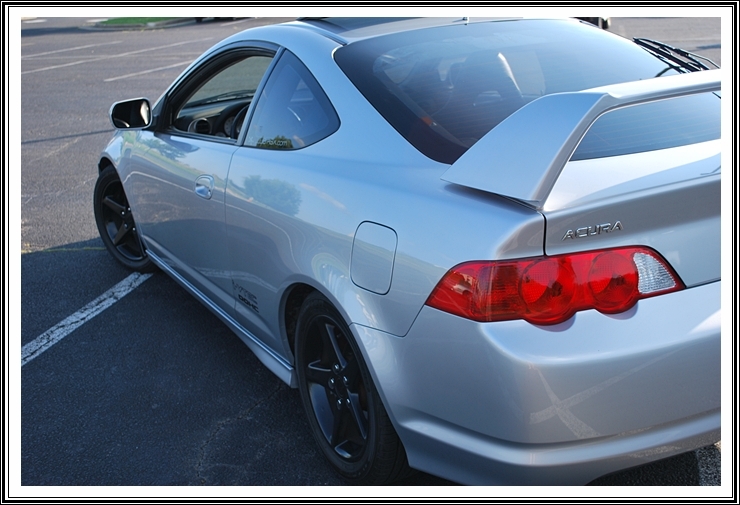 1- Take it through a “touchless” car wash and then do your normal ONR wash and wax when you get home. Sometimes the “foam” that these places use are strong and will strip any previous protection. 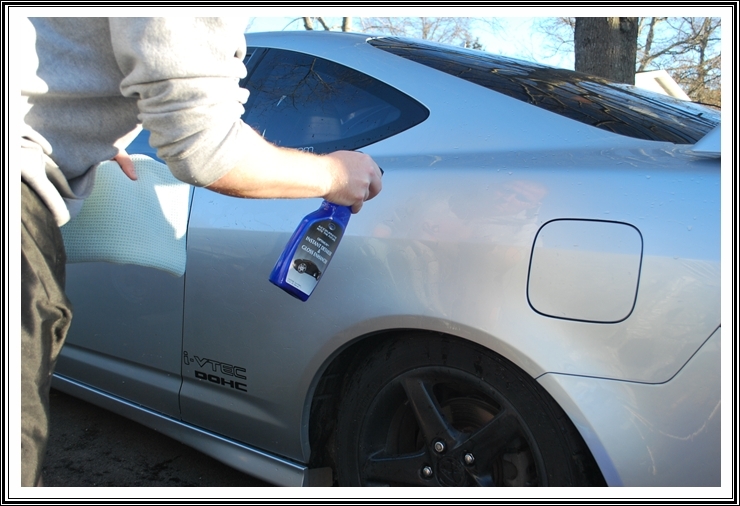 Getting the grime off your car is more important and 1 hour later you will be applying the Optimum Car Wax which will provide you with durability. 2- Take it to a “self service” type place. Throw in the few quarters and and use the pressure washer to rinse of the salt and sand. There you can hit the wheel wheels, wheels, and tires so when you head back home you can focus on the paint and do the finishes touches without the hose. If there is anything else we can help with, be sure to let us know. Car looks great DJ! It was sunny and about 40 here today so I did an ONR wash in the garage this evening. My process is almost identical to yours (minus the wax step) and it took me about an hour. I’ve been using ONR for a while now and it continues to amaze, even on my very soft JB paint. That’s good to hear, Joe! Not only does ONR work extremely well, it’s also very gentle with the paint. I use this process on numerous customers cars after doing full paint corrections to maintain then finish. What year is your BMW?? I saw in your write up that ONR it’s an amazing products. It’s great that you don’t scratch the car because of the road film that’s on the paint. I will try it for sure. This product is a must try. You will be extremely happy. If there is anything else we can do to help, be sure to let us know! I add ONR in my foam gun soap and wash bucket. Why not? It may add some level of safety. I live 15 mins north of Manhattan. Its salty, dirty, and cold. ONR is a beast and will clean the winter off. Just pre-soak with a strong mix. I use filtered water for that. Thank you!! ONR is truly a break through product and its perfect for the weekend warrior or a top level professional. DJ – That silver looks good. Very nice article DJ…thanks for sharing with everybody! I also like to keep some ONR pre-mixed in a spray bottle, and use it for cleaning areas like door jambs and under the hood when just a light wipedown is necessary. Thank you Justin and Todd. This is an awesome write-up! Quick Q though: I don’t have the Optimum Instant Detailer, so can I use a substitute like say Poorboy’s World Spray & Wipe or CG Speedwipe? Hey DJ — I’ve heard about people going right from washing to waxing while drying, skipping the instant detailer step. What are your thoughts on this? Thanks. You can do that sure. A few things to think about though. 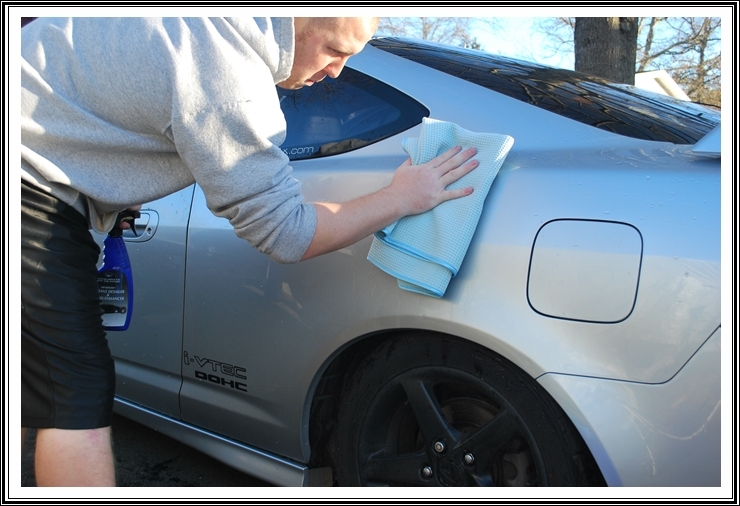 2- Using the Optimum quick detailer will aid in the drying process and provides a layer of lubrication between your paint and the drying towel. This creating a safer drying stage. Just a thought. -This sounds like the “quick and effective” way, so is it safe to always use this method when washing my car? Would I be using the same method for maintenance washes? -Also, when using this method, would I have to detail my vehicle every so often even if it is getting an instant detail after each wash? Thanks! As long as your vehicle isn’t “filthy” you will be fine. If it is, to a traditional 2 bucket wash with the hose. How often you detail your vehicle is up to you and how effective your washing and drying techniques are. 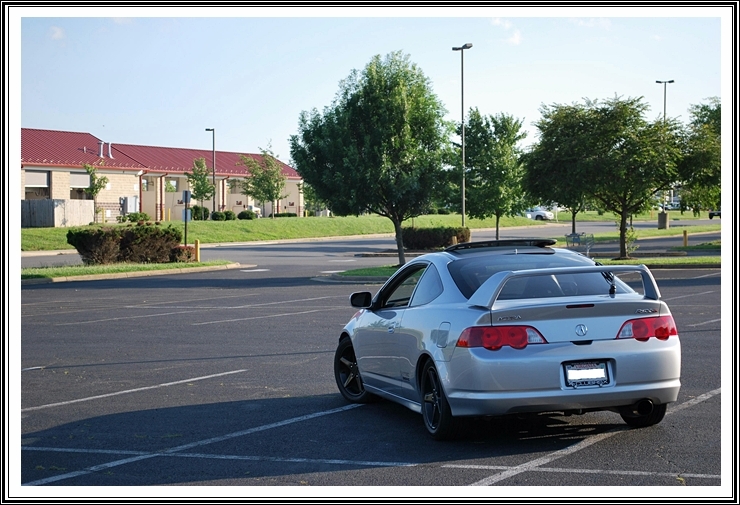 The quick detail will provide a little protection but I would still stick to your regular detailing schedule. If you have any other question, please feel free. The 3-gallon garden sprayer with a water/ONR mix sounds like an excellent method for pre-soaking. Have you been using it lately? Any new or previously undiscovered benefits or disadvantages? Think I’d like to try it. Excellent article DJ, especially on the advice to pre-soak the next section we’re about to wash with a spray bottle and some ONR diluted w/ water. The grout sponge I purchased from DI is bar none, the best applicator to use with ONR. Only wish that Lake Country would manufacture a larger size sponge for us truck and SUV owners. Thanks again for a very informative article on the PROPER technique on waterless washing, something you can’t find elsewhere on the net. Happy and Healthy New Year to you and the boys Detailed Image! 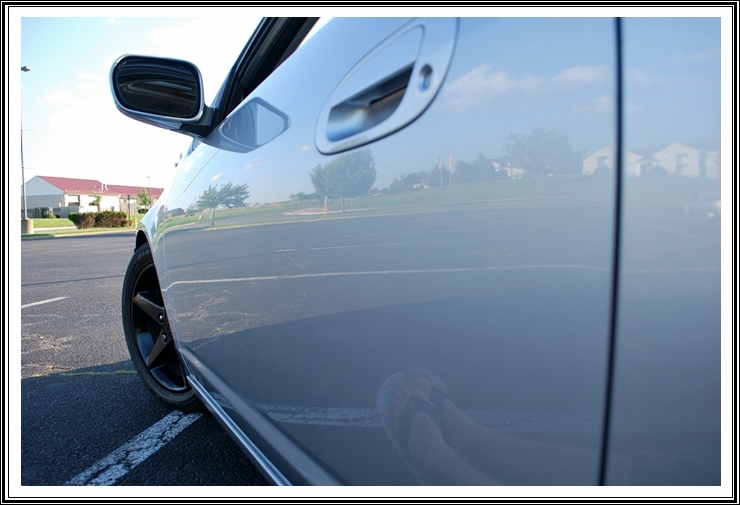 reviving a good article, I have to say that I recently re-visited optimum spray wax. Love this stuff all over again! Had a problem with an old batch (let it sit too long without use) so I bought a new bottle and was amazed once again! Great write up. and awesome looking car! Can I simply say what a aid to search out somebody who actually knows what theyre speaking about on the internet. You undoubtedly know learn how to deliver an issue to light and make it important. More individuals need to learn this and understand this facet of the story. I cant imagine youre not more common because you definitely have the gift. Excellent write-up! I am going to give this technique a try. 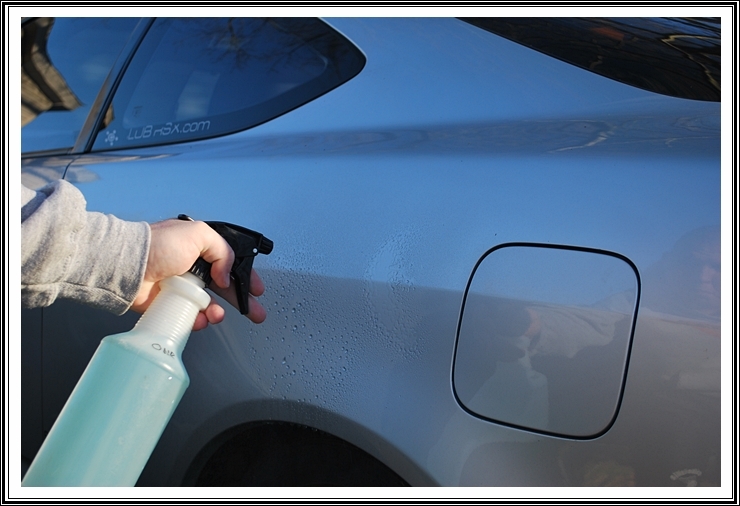 How often should the optimum spray wax be applied to the car? I wash my R8 about every two weeks and is a garage queen (absolute zero exposure to rain, and very minimal exposure to UV rays). Excellent write up, I feel very comfortable trying this on my italian racing red 2013 Jaguar XKR-S. I had my Jag at Todd’s place in early December DJ, love the work you guys do!!! Todd recommended against the wax at this point but everything else is a go. He is gonna put a coat of that liquid glass on it this spring when it warms up outside! A few questions. I don’t understand the difference between the instant detailer and the spray wax. After checking online, other people seem to say they’re the same thing. Also, can I use them after a regular car wash or only after the ONR? Do you recommend washing the Waffle Weave and the RE Thickulous towels? If so what washing method do you recommend? Thanks for all the great information! The problem is that the winter grime doesn’t come off that easily even with weekly washes. Note: be sure to clay (or alternative) be for applying the sealant clay gently for the other layers. Using ONR in rural winter situation. I have jet black Nissan and live in rural Oregon. I get substantial road grime on lower body panels during the winter season. I can’t use hose due to high iron/calcium content of house well water – I don’t want to create rust in places I can’t see. Nearest coin wash is 35 miles away, and probably uses unpurified water anyway.. So, I’m stuck with waterless washes using purified/distilled water. I have tried ONR at different concentrations from 2 to 4 oz of ONR in 32 oz sprayer with distilled water, but cannot get ONR to clean the panels of road grime. I have tried using a heavy concentration and letting it dwell, then following with a lighter solution to begin wipe down – still no cleaning ability. Have had to switch to Opti-Clean which works, but at 3:1 concentration $17 quart bottle only makes 1 gallon of waterless wash – somewhat uneconomical. 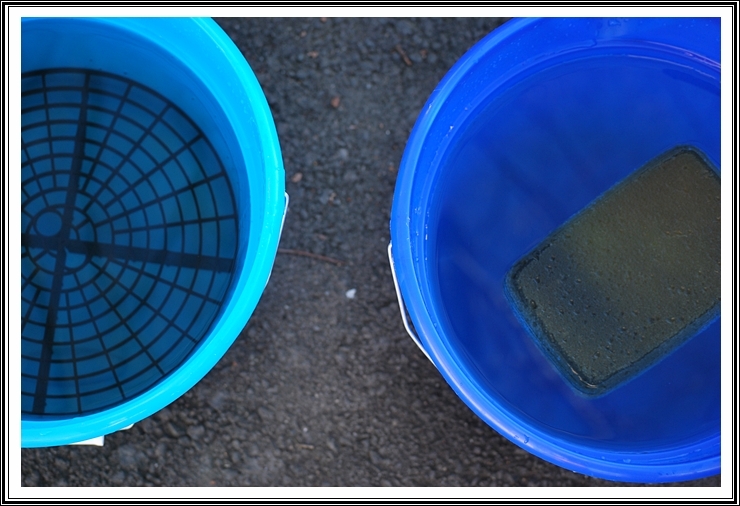 Two bucket method somewhat ungainly as I’d have to buy 10 gallons of distilled water to allow for wash and rinse around whole dirty SUV, and if direct spray as above doesn’t work how would a lighter solution in the 2-bucket approach work any better?. Any suggestions?